Hello, June! How did you sneak up on us already? I may not be ready for the heat, but I am ready for the barbecues! This grilled watermelon and feta salad is a great addition to any summer cookout. The charred watermelon adds a unique, seasonal twist to the classic combo. I used the same ingredients to make two versions of the salad. The stacked salad is a fun, aesthetically-pleasing way to serve it at a backyard barbecue. For a traditional side, the tossed salad can be made in one bowl and easily transported to a party. The cool, refreshing dish is sure to be a hit. Place balsamic vinegar in a small sauecpan over medium heat. Bring to a boil and reduce to a simmer until thickened, about five minutes. Let cool. Lightly drizzle olive oil over watermelon and season with salt and pepper to taste. Grill quickly, about 30 seconds per side, until slightly charred. Toss arugula with a teaspoon of olive oil. For the stacked salad: Cut feta cheese length wise into four smaller squares. 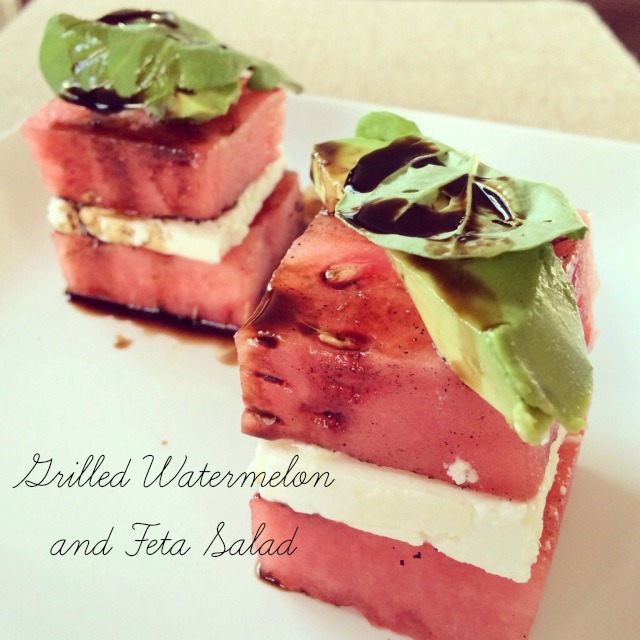 Cut watermelon slices into 8 squares that are the same size as the feta. 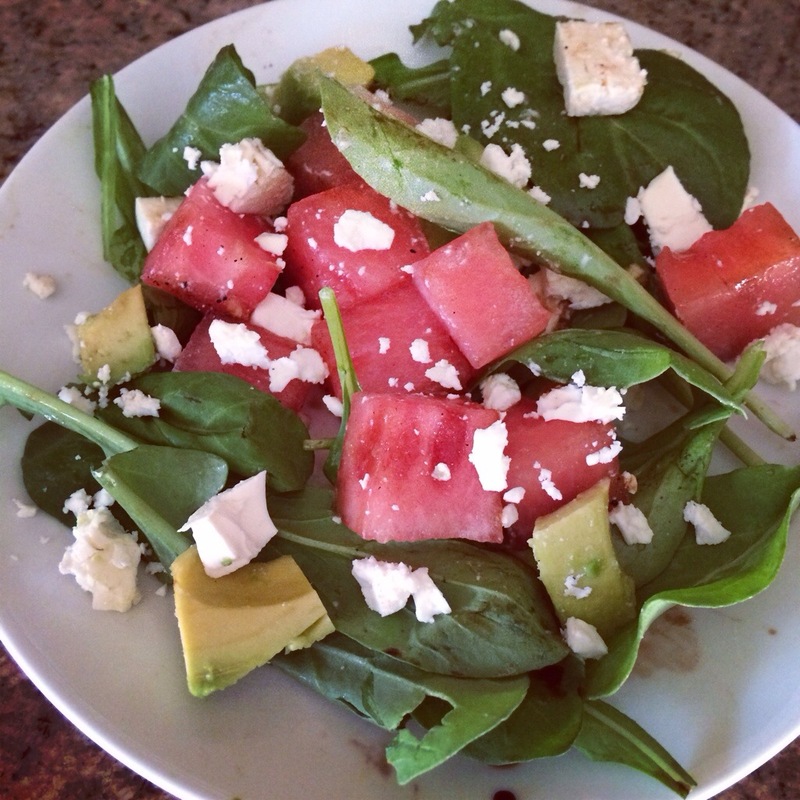 Place one watermelon square on the plate and then top it with the feta square, another watermelon square and a slice of avocado. 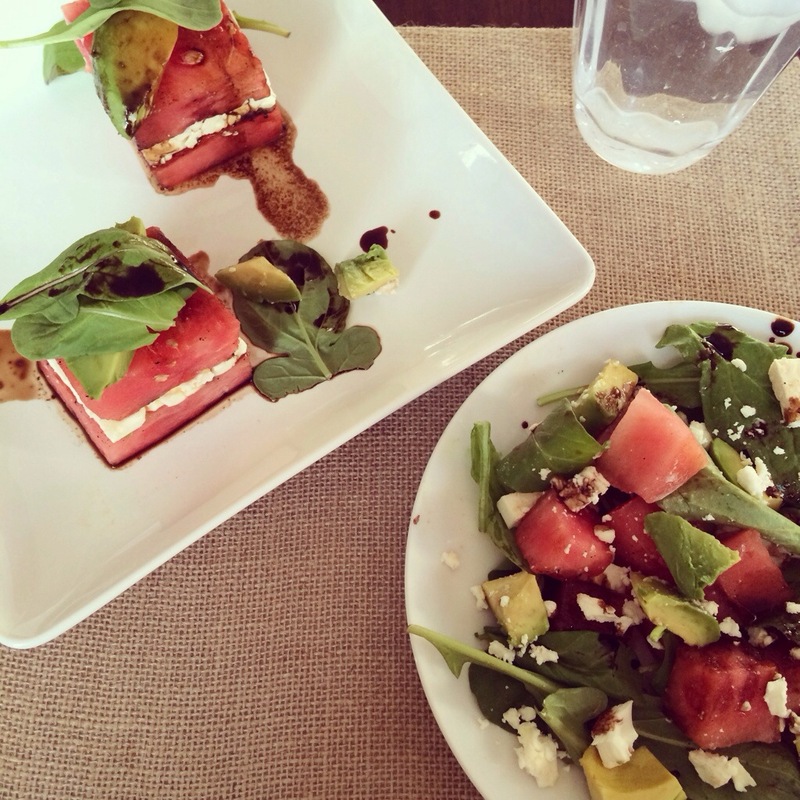 Sprinkle desired amount of arugula on top of watermelon stack and drizzle with reduced balsamic vinegar. For the tossed salad: Place 1 cup of arugula on a plate. 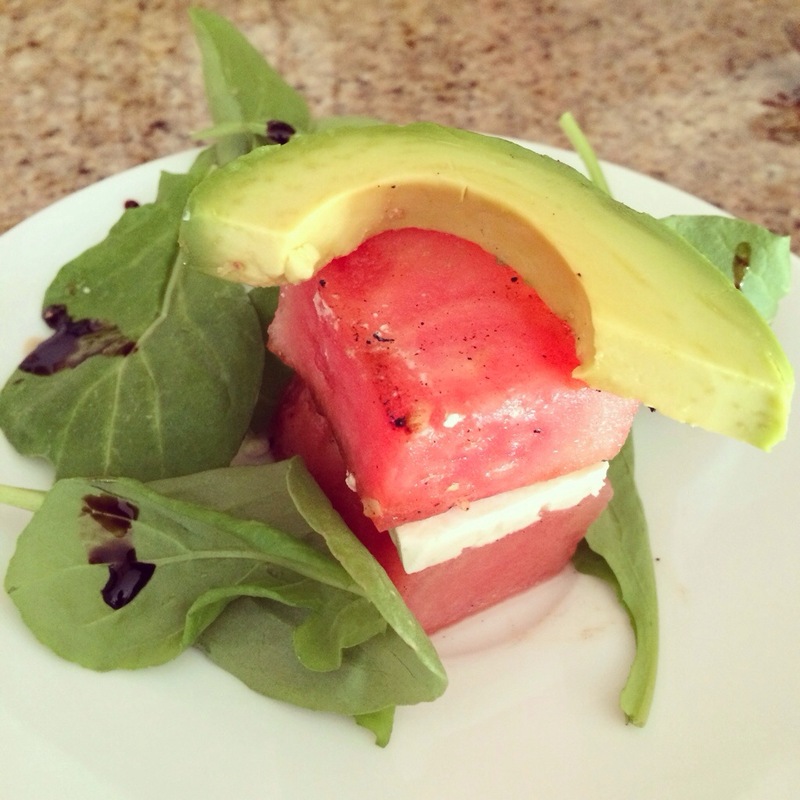 Cut cheese, watermelon and avocado into bite-sized squares, then add to arugula and toss. Drizzle with reduced balsamic vinegar.